Analyst thinks BlackBerry 10 is nothing but "a gambit intended to facilitate a sale of RIM"
It feels like we just keep going in circles with RIM and BlackBerry 10. 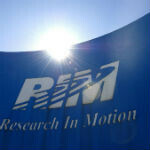 For a while, it seems like RIM is on the verge of selling the company to anyone who shows the least bit of interest, then RIM looks confident looking to the future, and back again. Now, in light of RIM CEO Thorsten Heins' new comments, it has swung the analysts thoughts all the way to the idea that BlackBerry 10 is nothing but "a gambit intended to facilitate a sale of RIM". Those words come from Benzinga Insights’ Sam Mattera in an article he wrote for Forbes. One red flag for him was that the first BB10 device that we saw was the London series, which is more of a modern smartphone with a full-frontal touchscreen, and didn't have the "characteristic keyboard, a feature which endeared the handset maker to many business professionals". The trouble with this view is a pretty simple one: "business professionals" have been abandoning BlackBerry, and haven't been going to Android options with physical keyboards. The trend is towards all touch and voice input. It seems like Mattera would have preferred RIM to stick with the ideas that were failing. That's top notch analyzing right there. Mattera does make a good point in wondering what company might even bother to purchase RIM. Reason says that Samsung might be interested in licensing software, but only Amazon or Microsoft would have a passing interest in RIM's hardware division. I would agree - nothing like trying to pump the share price going into sale negotiations. But who would be the buyer? Google or MS. They both could take RIM hardware and do something with it. They both could take BBM and do something with it. Apple would only do something with the software. You need to undertand this.. RIGHT NOW, in the US, UK, Europe, Australia, Singapore, HK.... ALL THE POWER USER & RICH user already moved away into Android & Apple (AA). Once you gone into AA, you won't go back into BB. The one that use BB right now is ALL THE POOR that CAN'T AFFORD good smartphone. This poor soul WON'T BUY BB10 Product. If they were able to afford BB10, they WILL use AA instead..
Let me correct you, there are many cheap Android phones out there, so don't say you have an Android phone because you're wealthy because that's not true. let me be the one to correct you. It is true that Android have so many cheap phone. Android user is from rich to poor. but BB user RIGHT NOW is considered lame. non-smartphone user who only do BBM. 99% of BB user right now buy BB because of BBM. LAME!!!! Yup, haters like to see you down. Yes, mostly were paid by Microsoft to make WP looks attractive Even iPhoneArena also does it. I don't exactly know why the other companies are interested in buying RIM if they are going to kill the brand name .. Are they interested in their patents ??!!. For instance, what HP did when they acquired Palm? No thing, just produced the epic fail TouchPad and HP Veer, and then they killed WebOS. I love BB and feel sad to this story. Who have a clear idea about this issue, I wanna know please ? analyst dont know a thing.. they just keep on talking s**t! no one can predict what will happen to the future! this is one of the worst jobs in the world (the other one being a paparazzi)! HP bought palm for they think webOS is really futuristic, and all people think of that as well! but HP has a very bad leadership! bad CEO thats why they are going down now! (same as nokia, very very bad CEO, MeeGo was the future, they are just afraid to see that) also same as google motorola, motorola dont make a buzz after they are bought by google, but i hope that will change this year! unlike the situation of RIM and BB, they have the almost perfect combination... they have good leadership and good CEO, coz the past CEO before still think touchscreen and iphones are just toys and its platform will be just fine..but CEO Heins change that with BB10.. they also have huge support to the devs.. i mean 70,000 apps at launch?! thats amazing! and they will reach 100,000 apps in no time! they might achieve that in less than a year, unlike WP, they just got the 100,000 apps after 2 years! so again, alalyst talk s**ts... and clearly this writer dont shock me about writing this things since he always write bad things for BB and RIM image... sad story that forbes still accept him! Thank you so much for your answer. You are right, I hope Nokia will kick Stephan Flop ASAP. Nokia is a great company and capable of producing amazing devices. I don't know why they did not produce their own operating system yet !. The top Analyst firms are pretty good at what they do, trust me. You're thinking of credit rating agencies like moody's, Fitch, DBRS, and Standard & poors, who spend most of their time bending over for wall street. As for Motorola after Google bought them...Motorola phones are always one of the best selling phones on Verizon. Motorola isnt the same as Palm. Nobody was buying Palm anymore...I kinda see that happening with BB...and WP to a certain extent. Nokia right now is saving WP. I agree with you. I don't understand it either. Most of BB patent is around BBM and push email. For push email, Google, apple, Microsoft also have patent around it. For BBM, there were what's app, GoogleChat, Apple iMessage, Skype, etc. So, I really think BB patent WORTH NOTHING. RIM is surely lazy, they don't have anything good. RIM is run by a bunch of idiots. Rather than just adopt Windows Phone and license out Blackberry Messenger/Mail (like Nokia are doing with Drive) they chose to be stubborn and develop a fourth platform that nobody really wants, including the business and government sectors. A platform that no one wants. That's a stupid statement. There are too many around waiting to switch to BB10 when it arrives. And everybody wants Windows Phone...............YEAH RIGHT!!! RIM needs to make a true Keybroad SmartPhone, kinda like the OG Droid but better with their own twist. Most Blackberrys had a keyboard, why remove their key difference? Because.... ALL THE EXPENSIVE.... (READ: GOOD PROFIT) don't have keyboard. REASON: because the user who want to buy expensive device want LARGE SCREEN. So, who bought QWERTY based BB style phone?? It's the non-smartphone user. The dumb-phone/feature-phone user. The one that won't buy expensive phone. Make Sony Ericsson P series phone wannabe.. You know, the one with the full touchscreen but with the removable flip qwerty keymat.